Core Building Materials is excited to announce our new product line, Summerset Professional Grills. Summerset is a leader in industry with expertise in manufacturing and branding. Their three main focuses are exceptional build quality, amazing value and personal service. These are all things that are in line with Core Building Materials core beliefs. This line is perfect for the growing trend in outdoor kitchen areas. When you choose to implement a Summerset Grill in to your new backyard kitchen area, you cannot go wrong with summerset grills. At Core Building Materials we can provide you with the right accessories to upgrade your backyard from average to extraordinary. Implementing a Warming Trends cutting edge brass burner allows you to turn your backyard in to an actual living space. The CrossFire brass burner produces a “taller, brighter, fuller flame” with its cutting edge technology. The patent-pending technology gas burning technology resembles a natural, wood burning fire. Since the product is made out of brass, it is resistant to corrosion and will not rust, back by a lifetime warranty on all the brass products. 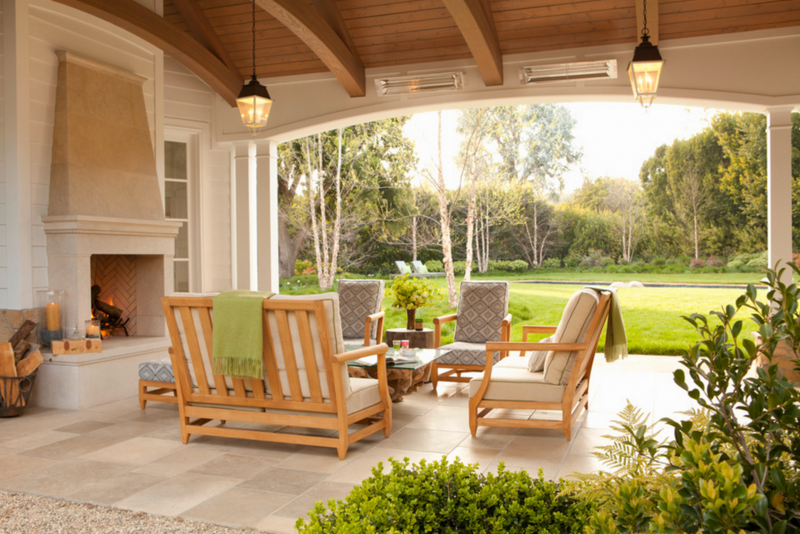 Whether you are a business with a patio or a homeowner with a backyard you love, extend its use with an outdoor heating system from Core Building Materials. We offer two different lines of heating options so were sure to have a product that fits your needs whether it be residential or commercial. For business owners, you can continue to capitalize on sales deeper in to the fall months. Outdoor heating systems also allow homeowners to take those cold fall nights and turn them in to some of the most enjoyable times outdoors. Stop in and see how we can help heat up your outdoor space today!